It's been fun spending time with a "Must Read" list this year. 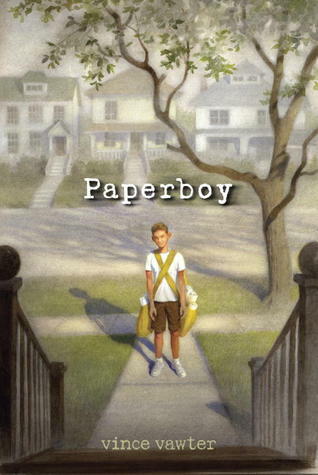 I put 15 books on my list - ranging from middle grade to YA to adult, fiction to nonfiction. As of today, I have read 6 of my 15 books. You can see my original list here. Below are the books I have read and a few thoughts about each! 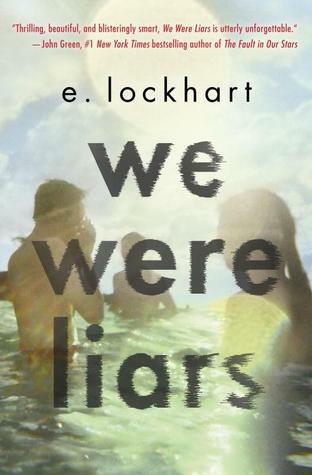 I LOVED this book...I have a review set to post in May when it comes out. It's hard to talk about it without giving too much away. A great summer read! The final book in the series. It is a definite must-read if you have read the first two books. 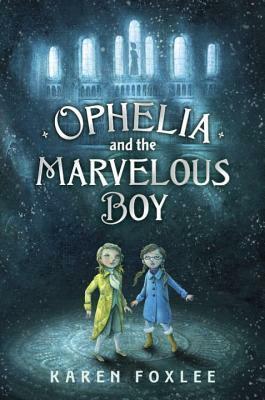 I was excited to have just finished reading this book when the Newbery announcements came out in January. This was the first year that I had actually read all of the awarded books before they were announced! 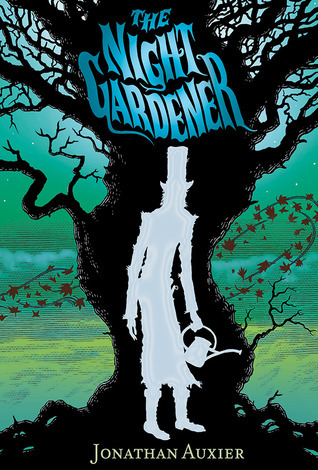 I think the way this book was written makes it more accessible to upper middle grade readers, maybe 6th or 7th grades. I haven't been able to get any of my 5th graders to read it yet. FINALLY! 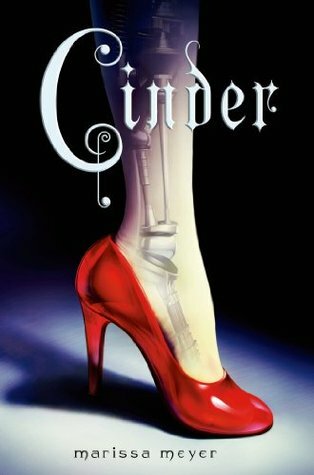 I have been wanting to read Cinder for quite some time, so I put it on my MUST list. I loved that it was a totally different type of dystopian novel. Cyborgs are actually pretty interesting to read about! When I looked through my Goodreads list for books to add to this list, I was surprised that I still hadn't read this one. What a powerful story. 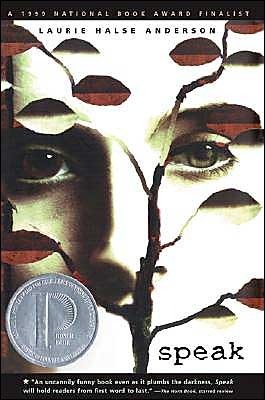 I think it is a must-read for any teenager. I read this one along with The Impossible Knife of Memory. Another book to put on YOUR must-read list if you haven't read it yet! 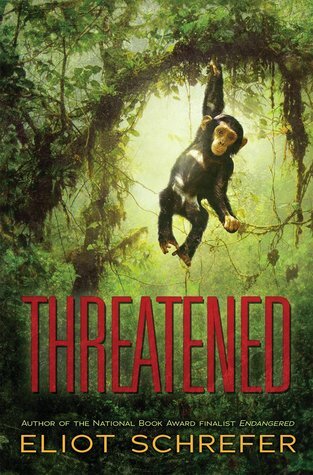 I loved Endangered, so Threatened was a definite must read for me. Threatened is a stand alone, not connected to Endangered in any way. After reading both books, I was so amazed at the human characteristics that the bonobos and chimpanzees exhibit. By the end of each book, you feel for them just as much as you feel for the humans. Powerful stuff. I will automatically read anything Eliot Schrefer writes in the future. I reviewed this one here. 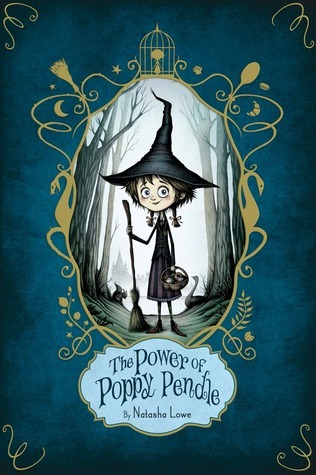 I thought this was adorable: Poppy hates magic and her parents (who are non-magic) are obsessed with it. Natalie Lloyd was kind enough to send my class signed bookmarks! I love anything Snow Queen. I reviewed it here. I can't wait to catch up with the other bloggers who are participating in this challenge! I am sure I will add lots of new books to my to-read pile! Great list. Keep reading The Lunar Chronicles. They won't disappoint. A Snicker of Magic was so sweet. Great books you have read so far this year. 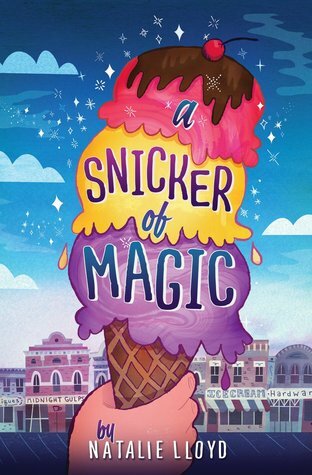 I MUST read A Snicker of Magic even though it isn't on my list because I see it everywhere! I really liked Cinder as well and just read Scarlett - want to read Cress next! Good to know about Threatened. It is on my list. I loved Endangered. 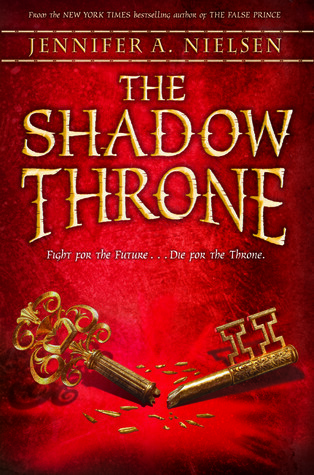 My children and I just finished The Shadow Throne. Isn't it a great trilogy!? Thanks for sharing your update!